Palo Alto, CA – March 13, 2017 – D-Wave Systems Inc., the leader in quantum computing systems and software, announced that Google, NASA, and Universities Space Research Association (USRA) have elected to upgrade their D-Wave 2X™ quantum computer to the new D-Wave 2000Q™ system, under the terms of their multi-year agreement, to support QuAIL’s pioneering research on how quantum computing can be applied to artificial intelligence, machine learning, and difficult optimization problems. Since 2013, when the first D-Wave system was installed at Ames, scientists at Google, NASA, and USRA have been using it for a broad range of complex problems such as web search, speech recognition, planning and scheduling, air-traffic management, robotic missions to other planets, and support operations in mission control centers. 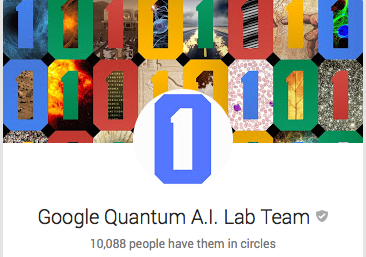 “We appreciate that the new processor offers more controls for each qubit, which enables us to experiment with new quantum-enhanced optimization and sampling algorithms,” said Hartmut Neven, Director of Engineering for Google and Head of the Quantum Artificial Intelligence Lab. The D-Wave 2000Q system will be installed at Ames later this year. D-Wave is the leader in the development and delivery of quantum computing systems and software, and the world’s only commercial supplier of quantum computers. Our mission is to unlock the power of quantum computing for the world. We believe that quantum computing will enable solutions to the most challenging national defense, scientific, technical, and commercial problems. D-Wave’s systems are being used by some of the world’s most advanced organizations, including Lockheed Martin, Google, NASA Ames, USRA, USC, and Los Alamos National Laboratory. With headquarters near Vancouver, Canada, D-Wave’s U.S. operations are based in Palo Alto, CA and Hanover, MD. D-Wave has a blue-chip investor base including Goldman Sachs, Bezos Expeditions, DFJ, In-Q-Tel, BDC Capital, Growthworks, Harris & Harris Group, International Investment and Underwriting, and Kensington Partners Limited. For more information, visit: www.dwavesys.com.